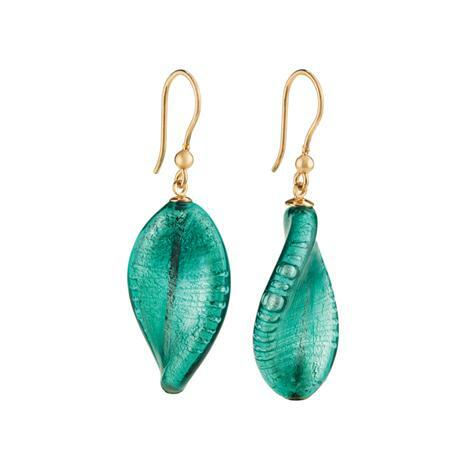 With the Giudecca Murano Earrings, I want to share that luxurious feeling with our customers. Created on Murano, the Venetian island famous for hundreds of years of glassmaking, each piece is handcrafted by an expert artisan to capture the elegance, serenity, and opulence of a luxurious weekend at a Venetian resort. Each bead is gently curved and glistens with flecks of glorious gold, just like the sun hitting the ripples on the water. When I’m not vacationing in Venice, I spend my time there building good relationships with talented people. The skilled glassworkers I’ve befriended know my company, and know what my customers enjoy, and so they’ve been able to create the luxurious Giudecca Earrings for the surprising price, because they know we’ll sell every necklace and that every customer will treasure it like the unique work of art it is. The good life has never been so attainable. So even if you don’t whisk yourself away to Venice, we want to whisk a piece of it straight to you.